As soon as the temperature warms up, I’m ready to fling open my doors for small gatherings and parties. When it comes to summer entertaining, I love preparing the menu as much as I enjoy hanging out with friends. 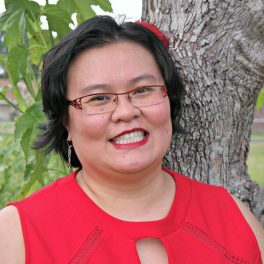 I prefer serving small bites like these Vietnamese inspired mini meatballs because I can make them ahead of time. Just warm them up right before the party. 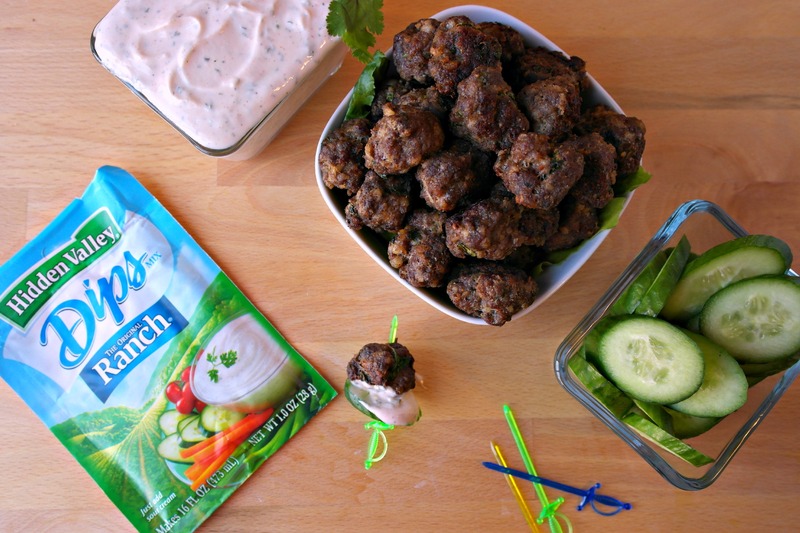 Set out a bowl of these flavorful, tender meatballs with a bowl of creamy Hidden Valley Original Ranch Sriracha dip and sliced cucumbers. 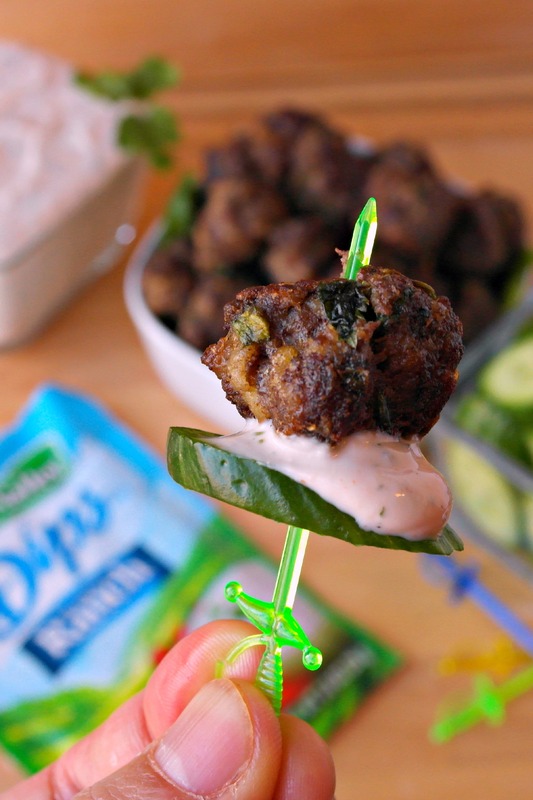 Your guests can skewer, dip, and pop the meatballs right into their mouths! 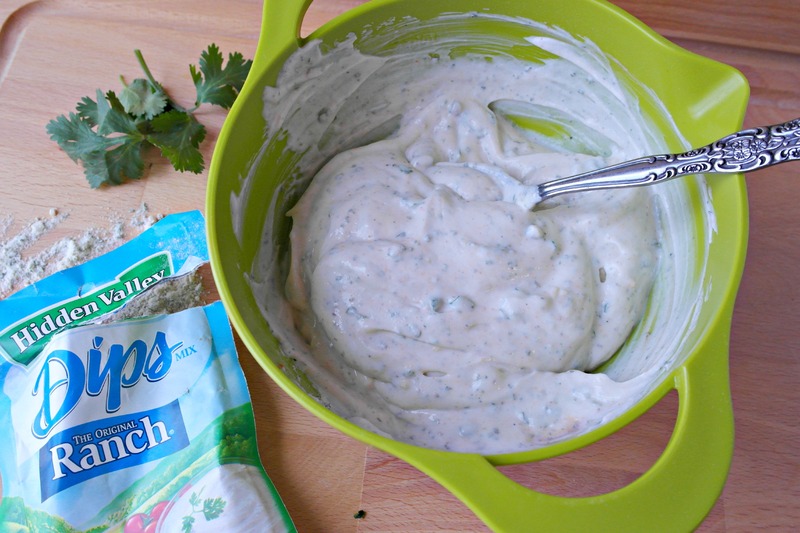 If you happen to have any Vietnamese inspired mini meatballs left over, make a meatball sub with a generous slather of creamy Hidden Valley Original Ranch Sriracha dip! 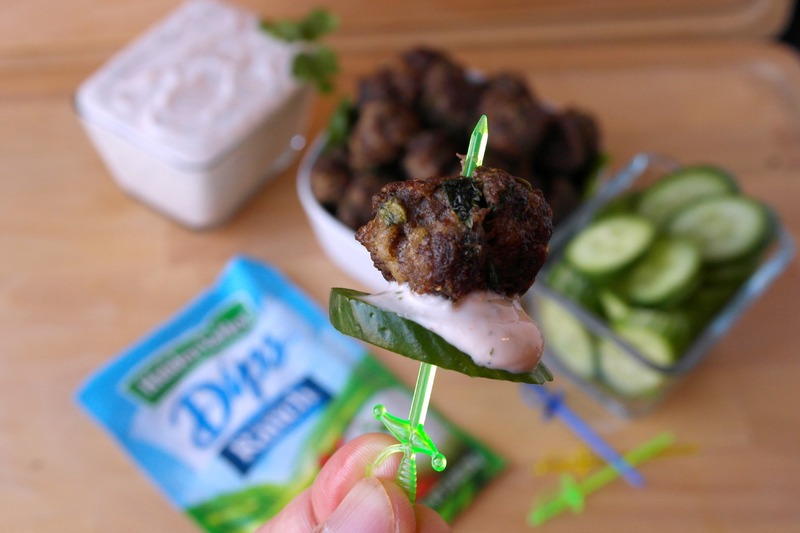 A unique twist on the classic party appetizer! 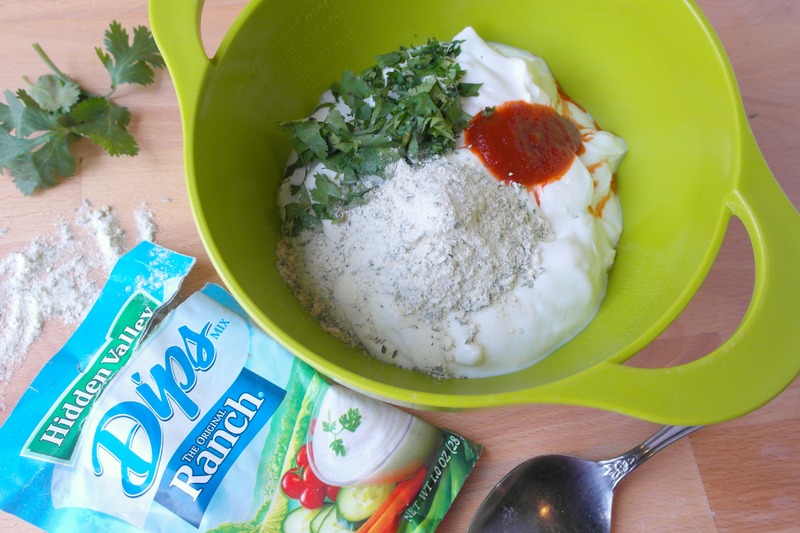 Step 1: In a medium bowl, combine Hidden Valley Original Ranch Dips Mix, Sriracha, and ¼ cup chopped cilantro. Step 2: Stir until all ingredients are thoroughly combined. Cover and set in the refrigerator while making meatballs. Step 3: Preheat oven to 350°F/177°C/Gas Mark 4. 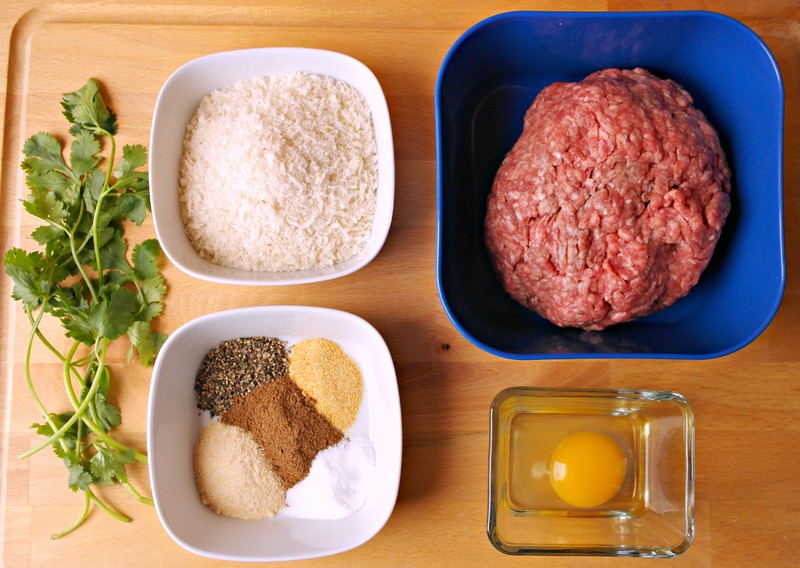 Step 4: In a medium bowl, combine all the spices, salt & pepper, panko crumbs, egg, rest of the cilantro, and ground beef. Mix until ingredients are thoroughly combined. 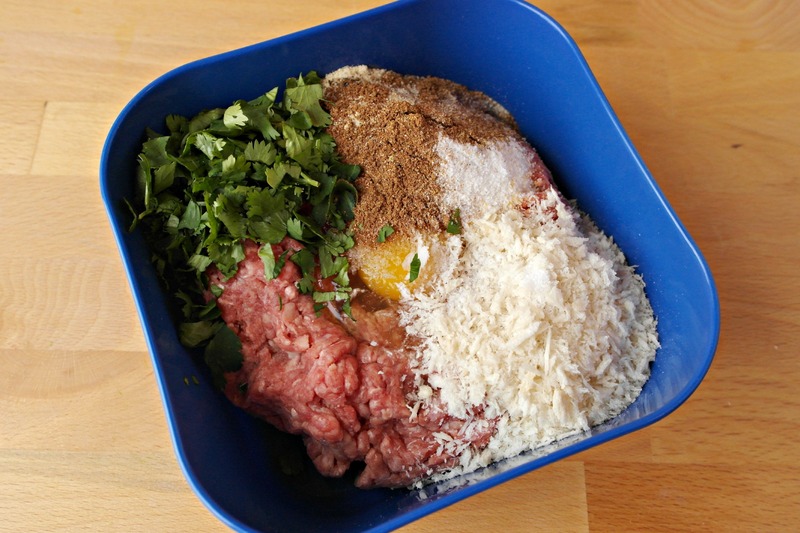 Step 5: Scoop about ½ Tbsp of meatball mixture and roll it into meatballs. Heat a large oven-safe skillet on medium high heat. Once skillet is hot, add meatballs. Brown meatballs, turning so they brown on all sides. Step 7: Turn off stove and place skillet into oven. 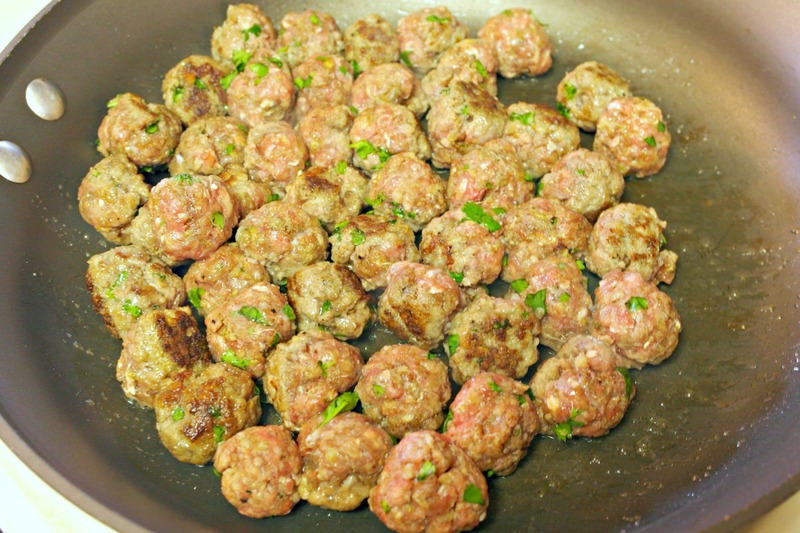 Cook meatballs in the oven for 10–15 minutes, until cooked through to 160°F. 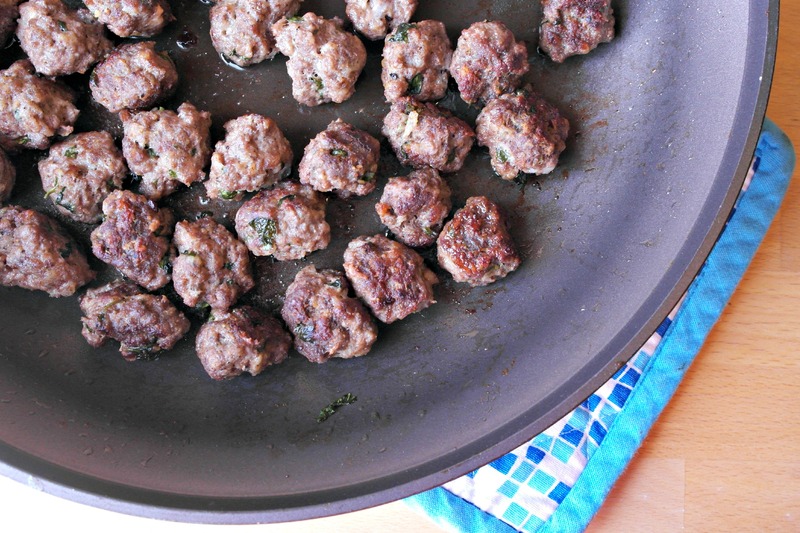 Place meatballs onto a plate with a paper towel to absorb any extra grease. 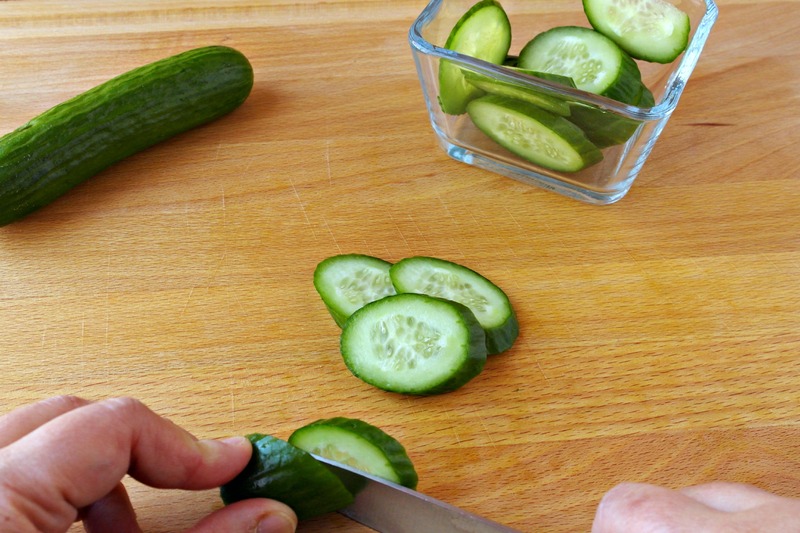 Step 8: Thinly slice the cucumbers on the bias while the meatballs are cooking in the oven. Step 9: Place the Ranch Sriracha dip, cucumbers, and meatballs into serving bowls with toothpicks next to them. Step 10: Skewer, dip, and eat!